Restrictions apply. See your service advisor for details. 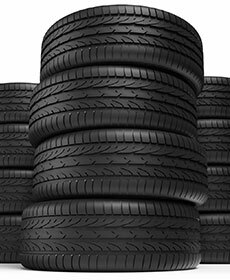 Toyota OEM, OEA replacement tires only. Tires must be dealer-installed. Three tires at regular price, fourth tire for one dollar. Fourth tire must be of equal or lesser value. Excludes mounting & balancing, sales tax, shop supplies, tire disposal & other applicable taxes. Excludes previous purchases. Cannot be combine with any other coupon or offer. Toyota & Scion vehicles only. Offer only available at Battlefield Toyota.